Ever since he was released from prison, things have been looking up for T.I. He went from being looked at as an example of what not to be to being on "Larry King Live." People now see T.I. as the posterchild of a reformed inmate. He has returned with a new focus on his music and his business. Simultaneously, he is building the Grand Hustle brand and working on his new album. T.I. has set up his King Unleashed album for an August 17 release date. Meanwhile, he is holding meetings with the artists signed to Grand Hustle. They are discussing when they will begin to put new music out. 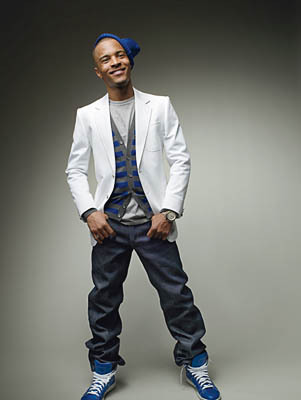 The goal T.I. has is trying to become the top rapper in the game. In order to do this, his crew needs to be strong, too. This is evidenced by watching Lil Wayne. Out of prison, T.I. is trying to open doors for himself outside of the hip hop world. He landed a deal with General Motors months ago and he has another deal on the table. T.I. was approached by the cognac brand, Remy Martin, about being their spokesperson. This is a major deal for T.I. and for the hip hop community. A few years ago, the liquor brand came down on Remy Ma because of her name. Initially, she went by the name Remy Martin and they made her change it, which caused friction. Not only has Remy Martin aligned itself with the hip hop world, but they have reached out to the highest-profile gangster in the game. T.I. said he was trying to change, even before he went to prison. Now out of prison, he has changed everything. No longer does he walk like a thug, instead he walks like a professional businessman. T.I. has even changed the way he talks in an effort to sound more professional. Labels: general motors, grand hustle, king uncaged, Lifestyle, Music, remy martin (liquor brand), t.i.